Downsview Park, a gift of the Government of Canada, is a self sustaining national urban park and new community. 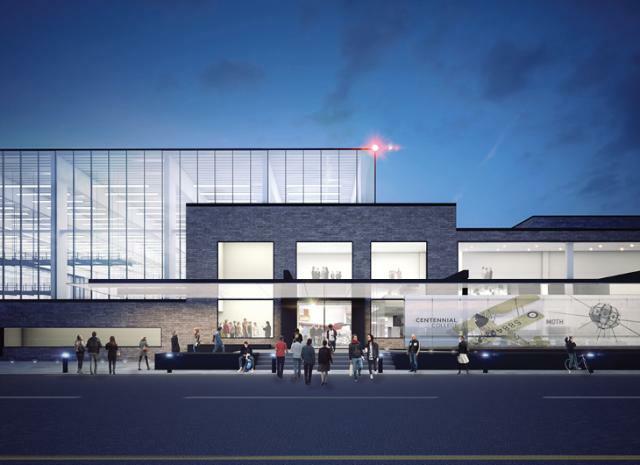 It flanks the Downsview air strip and is anchored by Sheppard Avenue, Keele Street, an extension to the Spadina subway line and a GO commuter line. The Downsview Park Master Plan establishes a set of commercial and residential neighbourhoods. The Chesswood commercial neighbourhood, served by the new station and direct access to the landing strip, is an excellent fit for the Centre for Aerospace Innovation and Research.